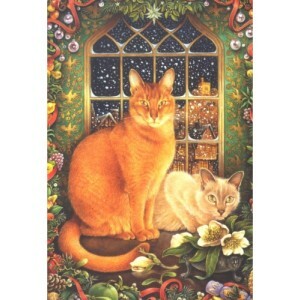 Pack of 4 Lesley Anne Ivory cat Christmas cards & envelopes featuring two adorable cats. 153mm x 108mm. 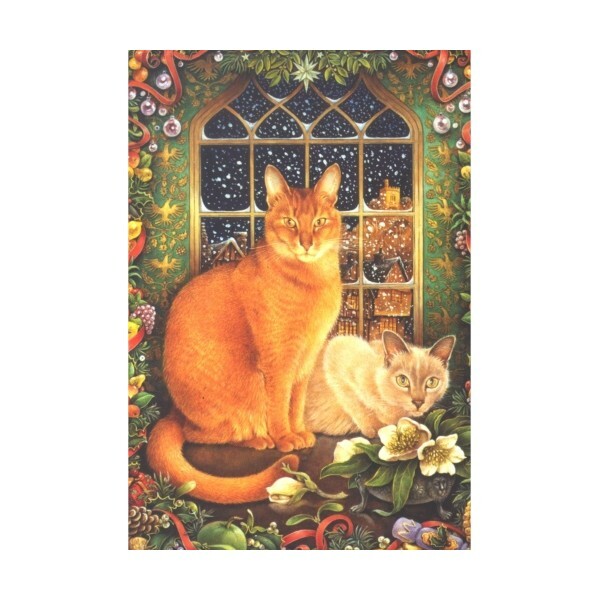 Message inside reads "With Best Wishes for Christmas and the New Year" Another design from our extensive Lesley Anne Ivory Christmas card range﻿.